In der klinischen Chemie kommen vielfältige Methoden zum Einsatz. Methoden der organischen Chemie und Biochemie dienen der Bestimmung von Proteinen, Lipiden, Kohlenhydraten inklusive Glykosylierungsmustern. Weiterhin kann man mit dem Methoden der anorganischen Chemie Elektrolyte sowie Schwermetalle nachweisen. Die Verfahren der Molekularbiologie, insbesondere die PCR, werden beispielsweise verwendet, um Veränderungen der Erbsubstanz zu bestimmen. Um Ihr Labor in der Anwendung dieser Methoden zu unterstützen, bieten wir eine breite Produktpalette von Reagenzien für die klinische Chemie. Gerne unterbreiten wir Ihnen ein individuelles Angebot. Nutzen Sie hierzu unser Kontaktformular. Ben Srl. ist ein italienisches Unternehmen, das 1987 in Mailand gegründet wurde. 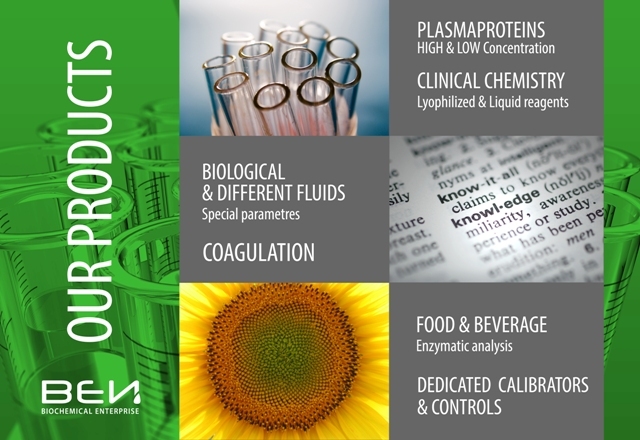 Das Unternehmen is spezialisiert auf die Herstellung, Produktion, Entwicklung und den Verkauf biochemischer, immunchemischer und chemischer Reagenzien für Analysenlabore. Eine Besondernheit von Ben Srl ist die Herstellung von Reagenzien auf Kundenwunsch. Dank eines florienden Entwicklungslabors ist das Unternehmen in der Lage, neue Reagenzien, spezielle Produkte und Anwendungen für automatische Analysengeräte maßgeschneidert auf die Bedürfnisse des Kunden herzustellen. The component R2 contains: Oxalate Oxidase, Peroxidase, 3-methyl-2-benzothiazolinone Hydrazone and 3-dimethyl benzonic acid, stable 30 days upon reconstitution. Oxalate in urine is of elevated interest because it could origin a sparingly soluble calcium oxalate that could give calcium oxalate crystalluria and the stones formation in the urinary tract. Oxalate in urine may increase as a product of intermediary metabolism or from dietary sources. A decreased excretion in urine is associated to hyperglycinemia and hyperglycinuria. An increased excretion could be due to an important ingestion of food rich of oxalate or oxalate precursors; metabolic defects; absorption of oxalate in several gastrointestinal disorders that gives important fat malabsorption. 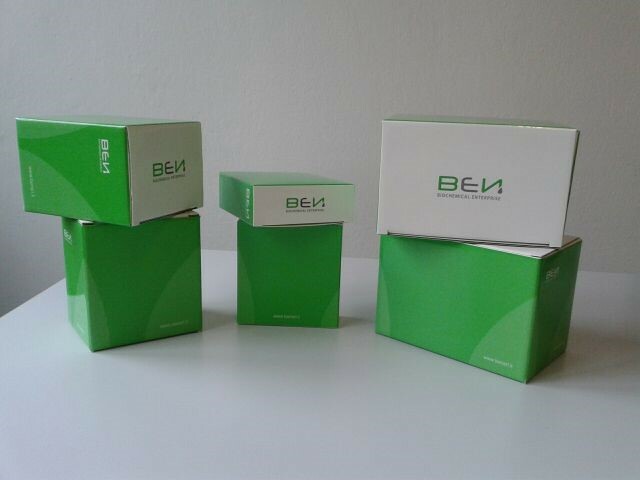 The dilution Reagent includes a new Buffer together with stabilized Aminoacids that enables to reach a stability of 12 days after reconstitution for the Starting Solution. Easy to automate. Citric acid is a weak organic acid and its relative salt, citrate. It is an important intermediate in the Krebs cycle. It is used with urine samples to diagnose renal tubular acidosis and a tendency to form calcium kidney stones. Chronic kidney failure, diabetes, hypoparathyroidism, excessive muscle activity, ACE inhibitors may decrease the Citric Acid urine levels; while an high carbohydrate diet, estrogen therapy, increase of vitamin D may increase it. The kit can be used also to determine citric acid in the sperm, in the ejaculate. Its concentration in the sperm, as for fructose, depends on the testosterone production of the Leydig’s cells; so the citric acid determination appear useful as a functional test for testosterone level in the body and a interesting instrument for fertility investigations. Low citric acid values have been found in acute or chronic prostatitis. G-6-PDH Red Cell Lysing solution only for automation ; Whole blood Controls set & Calibrator ; Reagent for Total Hemoglobin without Cyanide. Glucose-6-phosphate dehydrogenase (G6PDH) is an enzyme in the pentose phosphate pathway. G6PDH converts glucose-6-phosphate into 6-phosphoglucono-d-lactone and is the rate-limiting enzyme of this metabolic pathway that supplies reducing energy to cells by maintaining the level of the coenzyme NADPH. The NADPH in turn maintains the supply of reduced glutathione in the cells that is used to mop up free radicals that cause oxidative damage. People with G6PDH deficiency are therefore at risk of hemolytic anemia in states of oxidative stress. Oxidative stress can result from infection and from chemical exposure to medication and certain foods. Broad beans, e.g., fava beans, contain high levels of vicine, divicine, convicine and isouramil, all of which are oxidants. Deficiency of G6PDH in the alternative pathway causes the buildup of glucose and thus there is an increase of glycated end-products. The deficiency also causes a reduction of NADPH. Final Reagent volume after reconstitution: ml 10, stable 4 weeks. Angiotensin-converting enzyme (ACE) is a circulating enzyme that participates in the body's renin-angiotensin-aldosterone system (RAAS); this one is a hormone system that regulates blood pressure and water fluid balance. Angiotensin II is a potent vaso-active peptide that causes blood vessels to constrict, giving increased blood pressure. Angiotensin II also stimulates the secretion of the aldosterone, a hormone from adrenal cortex. If RAAS is too active, blood pressure will be too high; many drugs are able to interrupt different steps in this system to lower blood pressure. . ACE degrades bradykinin, a potent vasodilator, and other vasoactive peptides. Inhibition of ACE by ACE-inhibitors results in the decreased formation of angiotensin II and decreased catabolism of bradykinin, leading to systematic dilation of the arteries and veins and a decrease in blood pressure. In addition, inhibiting angiotensin II formation diminishes angiotensin II-mediated aldosterone secretion, leading to a decrease in water and sodium reabsorption and a reduction in extracellular volume. An increase of ACE values happens for sarcoidosis, leprosy, arterial hypertension, rheumatoid arthritis, acute and chronic bronchitis, hyperthyroidism, cirrhosis of the liver. Urinary Stones are made of insoluble organic and inorganic substances such as calcium oxalate and/or phosphate, cystine, uric acid, etc. Most urinary stones consist of several components. The aetiologies vary and include metabolic dysfunctions, obstructions, infections, hyper-saturation, lack of inhibitors, etc..
A small amount of urinary (or kidney) stones is shattered and dust; different rates are added to different solutions; the chemical reactions allows qualitative identification of the presence/absence of each components. The tests is a qualitative, colorimetric determination – visual inspection. Using the control contained in the kit, users can verify the chemical reaction for reference. New procedure for sample pre-treatment that allows a greater stability. Bi-reagents: lyophilized component to be dissolved, component R3 ready to use. The working reagent (R1+R2) can be frozen. Calibrator included in the kit. Simple and quick procedure for automation. PYRUVATE (for Automation) Pyruvate (pyruvic acid) is a key intermediate in cellular metabolic pathways; it is primarily derived from glucose via glycolysis. When sufficient oxygen is available, pyruvate is converted by pyruvate dehydrogenase into acetyl-CoA, which enters the citric acid cycle (Krebs cycle), where it is metabolized to produce ATP. Pyruvate can also be converted into carbohydrates via gluconeogenesis or into fatty acids through acetyl-CoA. The lactate to pyruvate ratio reflects the redox state of the cell and describe the balance between NAD and NADH, which is dependent on the interconversion of lactate and pyruvate by lactate dehydrogenase (LDH). This ratio has been used to assess the severity of circulatory failure as well as other disease states. Abnormal increase of blood pyruvate levels are reported in a number of disorders, as shock, liver disease, congestive heart failure, neoplastic disorders, muscular dystrophy, diabetes mellitus, thiamine deficiency and metabolic disorders. Copper in serum and urine. Liquid, Bi-reagent; Chemical Liquid Standard included; Procedure for automation available for both Serum and Urine; for URINE, the standard has not to be diluted; Urea is absent so there are no interferences with BUN/UREA test on automation. Only one kit that can be used on serum and on urine. Copper is a trace element associated with a large number of metalloproteins. Several pathologies and alteration of the physiological conditions are due to modifications or to the lost of copper-enzymes: such as connective tissue defects (cardiac, skeletal and vascular) , failure in pigmentation, ataxia in motor neurons, abnormal catecholamine conversions. Copper has an important role in the Iron metabolism. Low levels may interfere in the right iron absorption and severe copper deficiency gives elevated anemia: ceruloplasmin has a strong action on ferrous iron to give ferric iron, exactly before its binding to plasma transferrin. Colorimetric assay without deproteinization. On serum, plasma, urine and seminal fluid. Zinc is present in the body with a very particular function: it is a trace element associated with a large number of enzymes. Biological oxido-reduction functions are not possible with Zinc, due to its orbital electronic configuration. Several families of enzymes have Zn involved in the active site, a few of them in critical metabolic crossroads: a lot of enzymes are anhydrases, phosphatases, RNA and DNA polymerases, kinases, peptidases and dehydrogenase. Moderate zinc deficiencies may give growth retardation in children and adolescents, mild dermatitises, hypogonadism in male, mental lethargy and impaired immune responses. Iatrogenic conditions may happens in administration of anabolic and metal-chelating drugs, as penicillamine and corticosteroids, and synthetic diet therapies, mainly long-term treatment. The same happens with pregnant woman, for the high uptake of zinc by the foetus; the use of oral contraceptives produces a redistribution of zinc from plasma to erythrocytes. Aldolase is an enzyme that catalyzes a reverse aldol reaction. It helps muscle to turn sugar into energy. Testing for Aldolase is done to diagnose and monitor skeletal muscle diseases. Muscle weakness may be caused by neurologic as well as muscular problems. The measurement of Aldolase levels can help pinpoint the cause. Aldolase levels will be normal where muscle weakness is caused by neurological disease, such as poliomyelitis or multiple sclerosis; while will be elevated in cases of muscular disease, such as muscular dystrophy (in particular Duchenne’s one). Aldolase is also found in the liver and cardiac muscle. Damage or disease to these organs, such as chronic hepatitis or a heart attack, will also increase aldolase levels in the blood. Aldolase levels greater than the normal values will be also due to dermatomyositis, infectious mononucleosis, liver pancreatic or prostate cancer, myocardial infarction and polymyositis. 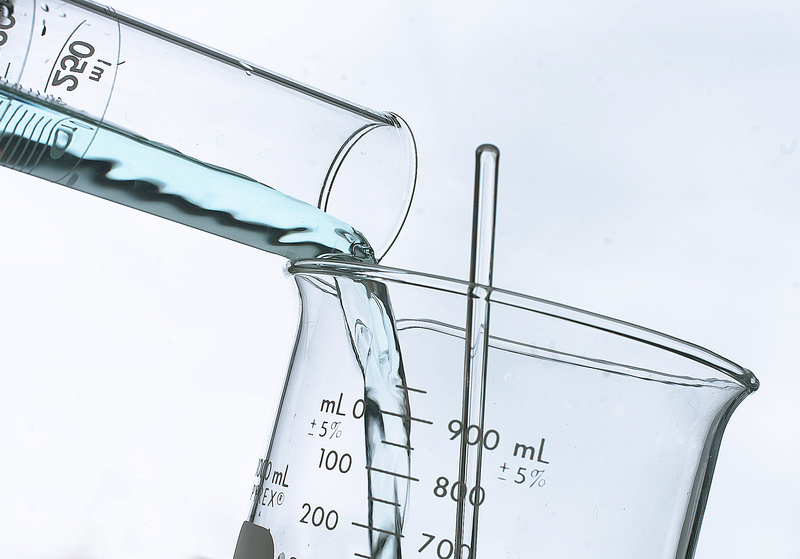 The optimization of the aPTT liquid Reagent allows to have better or comparable performances than competitors, who employ ellagic acid, regardless that they use selected or synthetic or soybean phospholipids. The aPTT liquid Reagent is constituted by phospholipids from rabbit brain stabilized and optimized as a platelet substitute and a soluble plasmatic activator, ellagic acid, for an optimal activation of the contact phase of coagulation. The plasma sample is placed in contact with the Reagent containing an optimized amount of phospholipids and a contact activator negatively charged (R1); an incubation at 37°C for a defined time allows the activation of the intrinsic coagulation pathway. 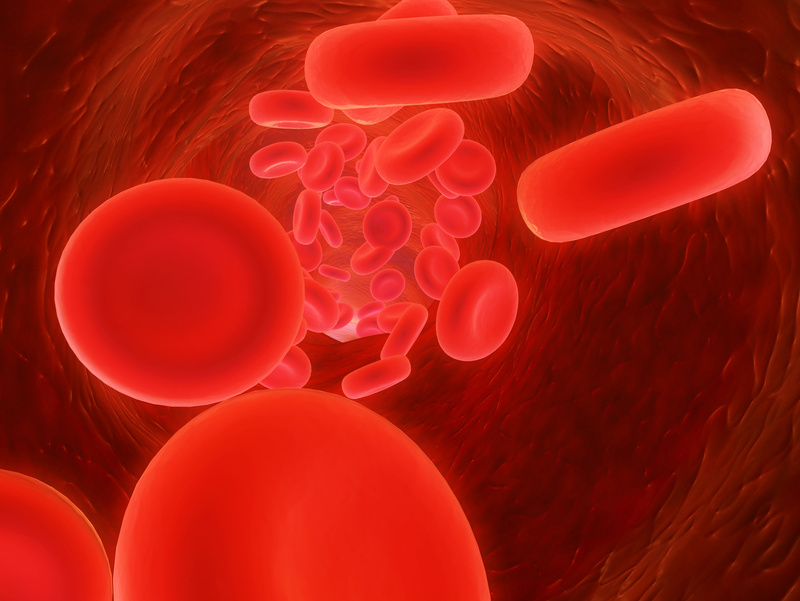 The addition of calcium ions (R2) to the reaction mixture starts the coagulation and it is determined the time required for the formation of the fibrin clot. The performance of this reagent PT are similar to those of the WHO Reference Material (NIBSC RBT05-2012). The PT Reagent is made by a lyophilized thromboplastin preparation extracted from rabbit brain, containing an optimized quantity of calcium ions which makes the Reagent highly sensitive to the deficiency of “extrinsic” pathway Factors, II, V, VII, X. Particularly effective in monitoring oral anticoagulant therapy (OAT). The PT Reagent is made up by a lyophilized thromboplastin preparation extracted from rabbit brain, containing an optimized quantity of calcium ions which makes the Reagent highly sensitive to the deficiency of “extrinsic” pathway Factors, II, V, VII, X. This makes it particularly effective in monitoring oral anticoagulant therapy (OAT). The reagent can be diluted with distilled water.